David C welcomed people to the meeting and shared the [ ]. maintenance: compare old behaviour with new; what were the reasons for the change? A group may be needed to maintain change. 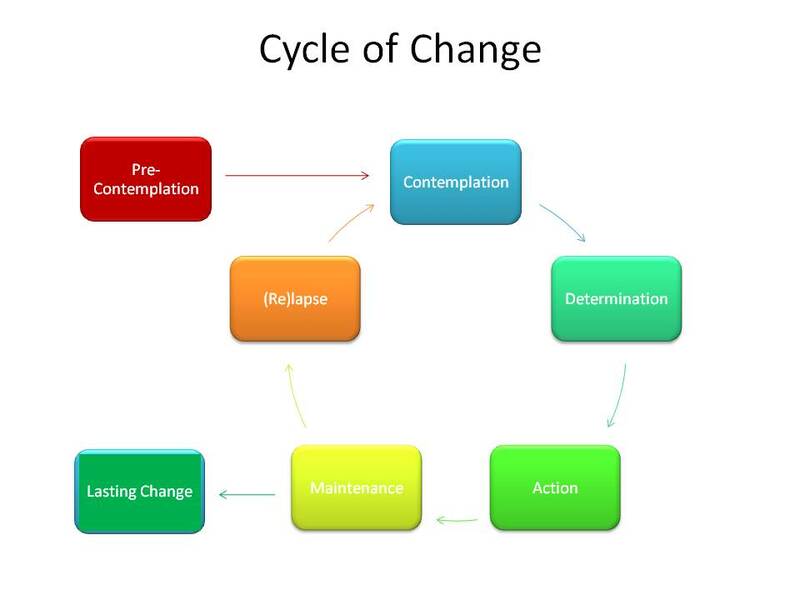 relapse: a normal part of the process (smokers tend to go round the cycle at least three times before they exit). This led into a lively discussion and a sharing of experiences in relation to Windows users. Wayne shared his experiences of ‘Getting giddy with the GUI.’ He has been using Linux for 15 years and has not used Windows for five years except to test things. John H shared his experiences of the KDE3 desktop. The group then agreed to continue meeting in the Mabel Booth Room of Bradford Community and Voluntary Service with individuals agreeing to sponsor each event to cover the fee from January 2009. Mike gave an update on the business support project.